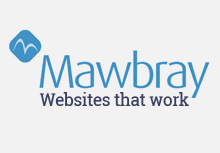 Leave the M6 at jct 36 and take the A590 to Newby Bridge. Turn right onto the A592, go 3.6 miles, turn right into Birks Road. The park is 1/3 mile on the right. Please note: Caravans and Trailers must approach Park Cliffe from the direction of Newby Bridge. 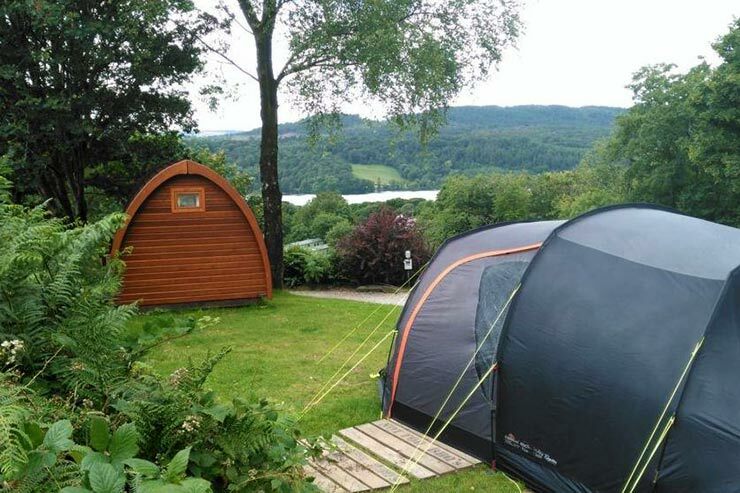 Superb award winning campsite near Lake Windermere. 2016 Cumbria Tourism Awards Winner. 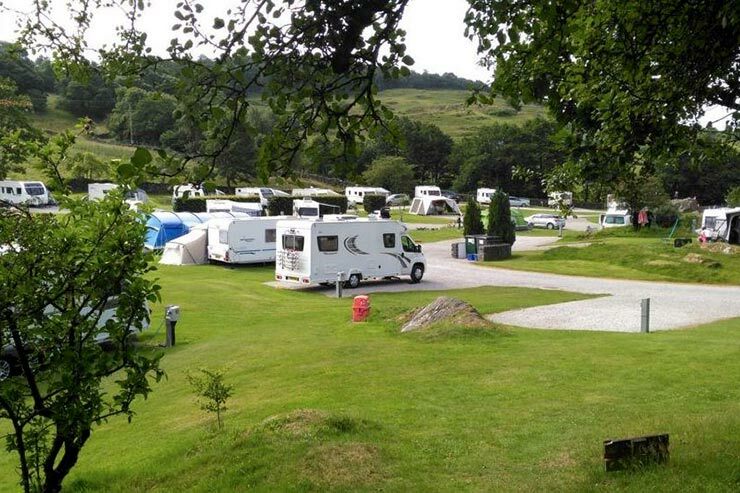 This family run camping & caravan park is located within four miles of the centre of the Lakes at Bowness-on-Windermere. It is in spectacular open, unspoilt countryside, set in 25 acres with unrivalled breathtaking views. 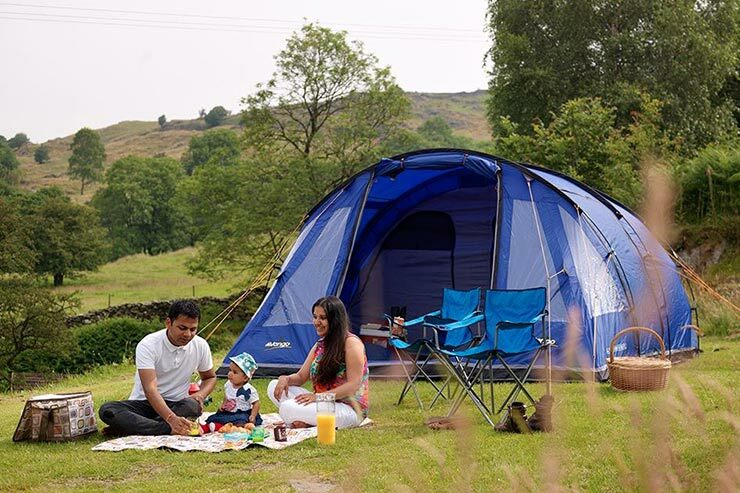 Whether you come to Park Cliffe Camping Site with your tent, tourer or own your own luxury holiday caravan or lodge, Park Cliffe gives you the opportunity for peaceful enjoyment of this most beautiful corner of the Lake District. 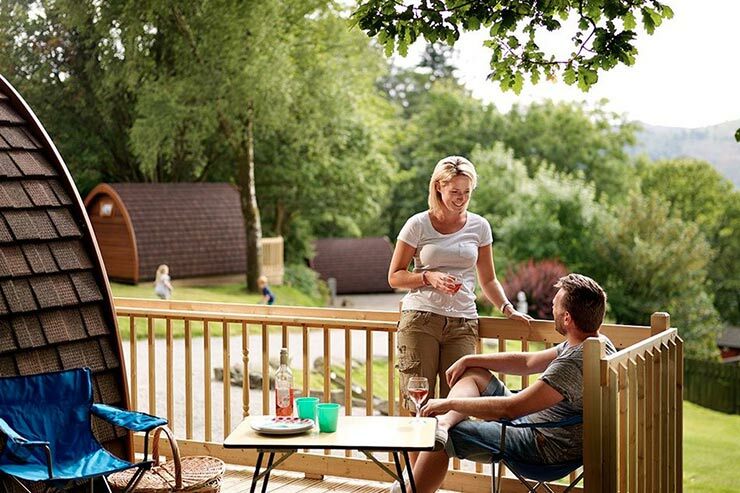 We have a range of modern up-to-date park facilities that are hard to beat. 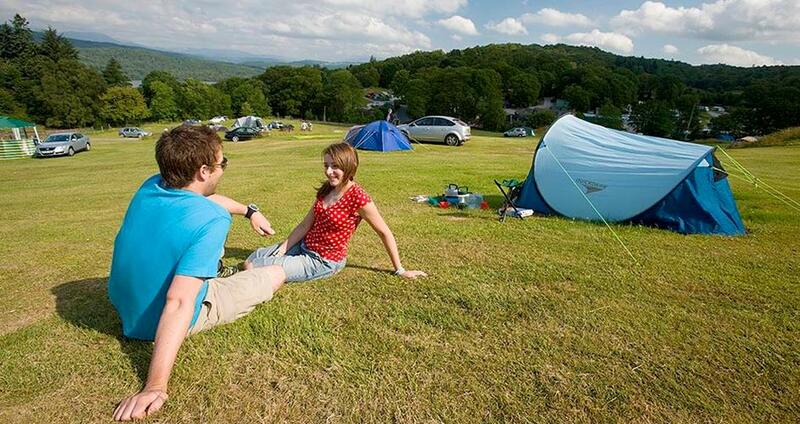 Come camping in the Lake District at Park Cliffe, only 4 miles from Bowness on Windermere. This area allows you to reserve your pitch, with electrical hook-up if you so desire. This area is across a minor lane from the main park. These pitches are allocated by size, therefore we need to know the size of your tent in metres (including any porch), when making a booking. More suitable for larger tents. This area offers magnificent views down the lake towards the Langdale Pikes and across to Coniston Old Man from its undulating slopes. 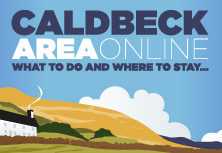 On Fellside you choose your own area to camp. Please note hard ground awning/tent pegs are required. Where electric hook-up is provided customers must provide their own leads. And if you want the height of luxury whilst you are camping, why not hire one of our private bathrooms for your own personal use? These cost just £14 per night. 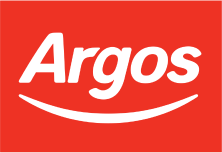 1st March - 10th November 2019. Rates based on 2 persons and 1 car per night. 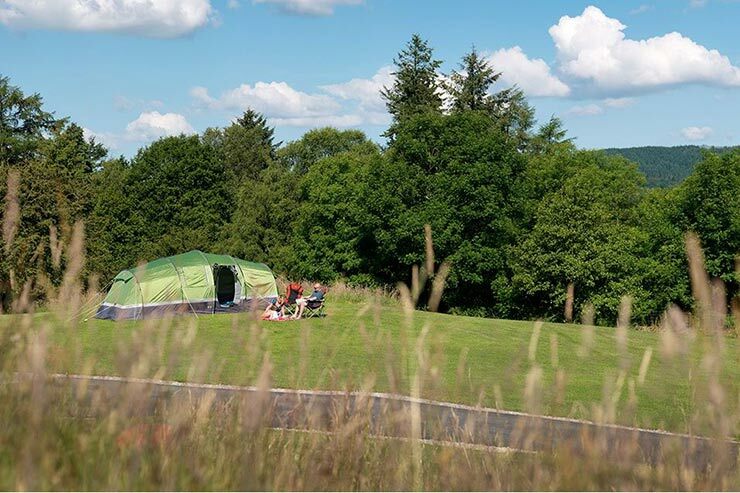 Tents (grass pitch) £22-£30 per night. 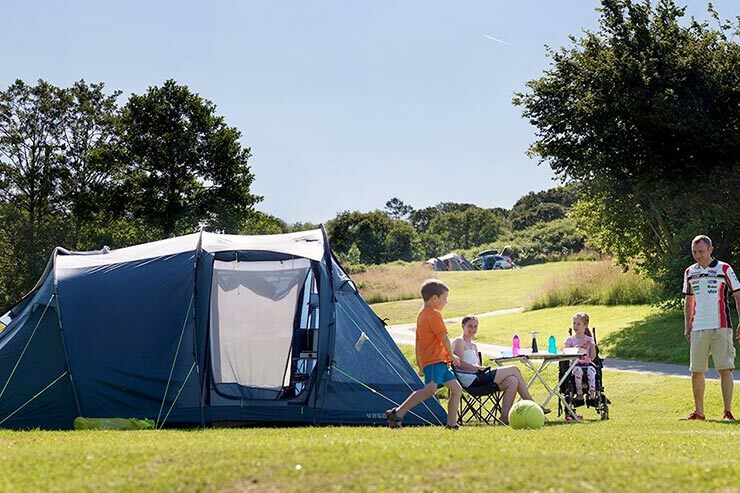 Tents (grass pitch with electric) £27-£36 per night. N.B. A surcharge of £8 per night applies to tents 8 man or over. 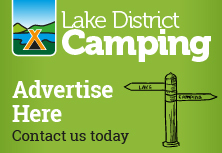 Touring Caravans / Motorcaravans / Trailer Tents £27-£37 per night. 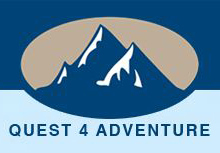 Backpackers/Cyclists £12-£20 per night 1 person & small tent. 3 - max occupancy 2 adults, 1-2 small children. £44-£51 per night based on 2 persons. Max occupancy 2 adults, 2-3 small children or 4 adults. £48-£55 per night based on 2 persons. Max occupancy 2 adults, 2 children or 4 adults. £53-£60 per night based on 2 persons. 2 single beds and 2 single fold out foam mats. Max occupancy 2 adults, 3 children. £58-£66 per night based on 2 persons. Premier pods come with a double bed, bunks and a trundle bed. Airbeds recommended in the standard & family pods. Holiday Caravans for hire (max 4 people) £199 - £699. Private Bathrooms £14 per night. Bookings are required during school holiday / bank holiday periods. Families and Couples only. SORRY NO GROUPS or unaccompanied under-18's. 60 touring caravan / motor caravan / trailer tent pitches. 55 caravan holiday home / lodge pitches. Yes. But must be kept off ground. Superb food, stunning views, real ale, cosy atmosphere. Bowness-On-Windemere (6 miles) Shops, supermarket, pubs, restaurants. Bowness (4 miles) - Natwest, plus ATM at Co-Op. Low level walks available from the site on quiet paths. Nearest high fells are Coniston Old Man, High Street, Langdale Pikes. Cruises on Lake Windermere, The Steam Boat Museum, The Aquarium of the Lakes, Brockhole Visitor Centre, The World of Beatrix Potter and many more. Activities available within a ten minutes drive: walking, rock climbing, sailing, canoeing, horse riding, fishing, golf and balloon flights are just a few of the many sports. Sailing boat launching is available at Ferry Nab. Sailing boats can also be launched at Fellfoot Park.